Euro continues moving downwards. 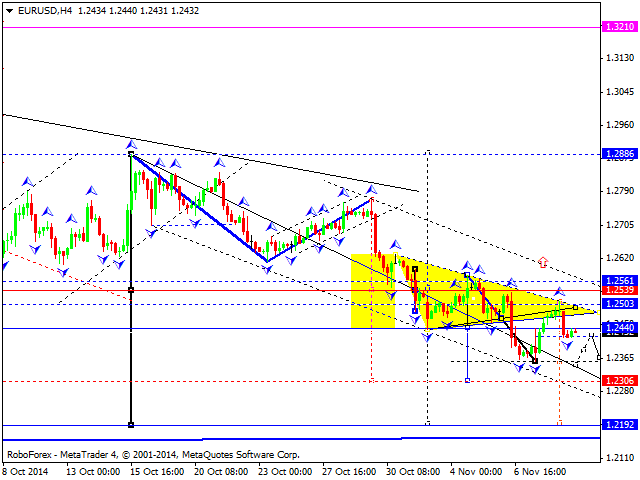 We think, today the price may fall towards level of 1.2350 and then return to level of 1.2440. Later, in our opinion, the market may reach a local target of this extension by falling and reaching level of 1.2310. After that, the pair may attempt to return to level of 1.2540. Pound is still moving downwards. 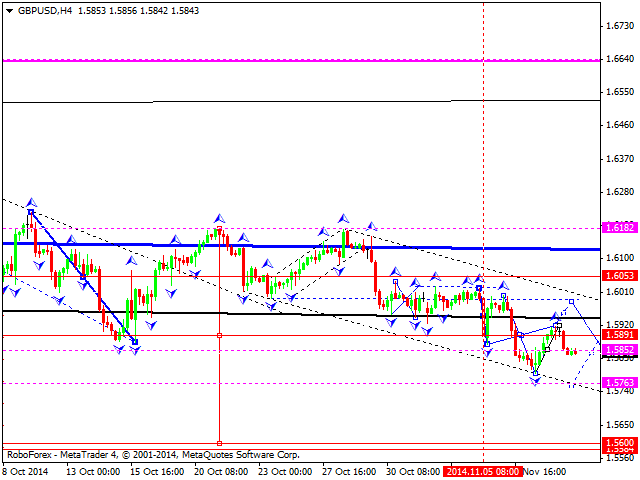 We think, today the price may reach level of 1.5765 and then return to level of 1.5940. Later, in our opinion, the market may continue falling to reach level of 1.5600. Franc is moving upwards. 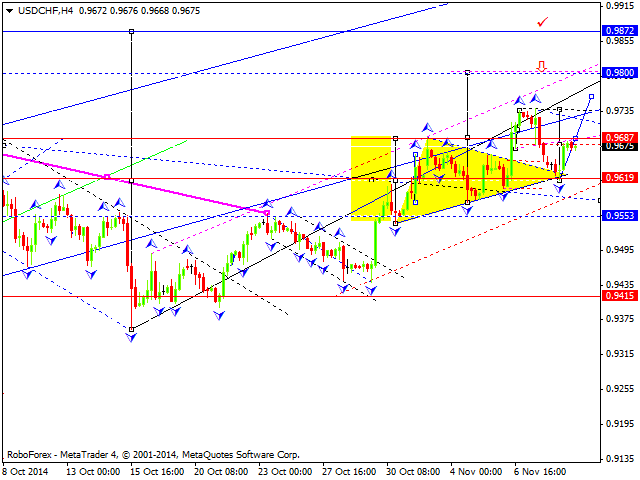 We think, today the price may reach level of 0.9740 and then form a consolidation range. Later, in our opinion, the market may continue growing to reach a local target of this extension at level of 0.9800. Yen is still growing. 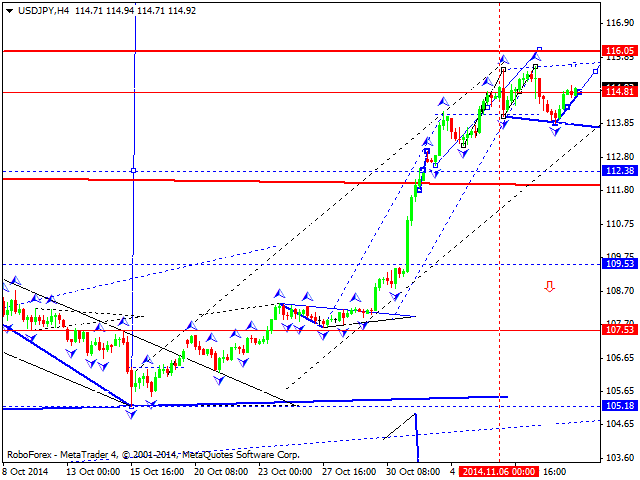 We think, today the price may reach level of 116.05 and then fall to return to level of 114.80. Later, in our opinion, the market may form another ascending structure to reach a new high. Australian Dollar is falling. 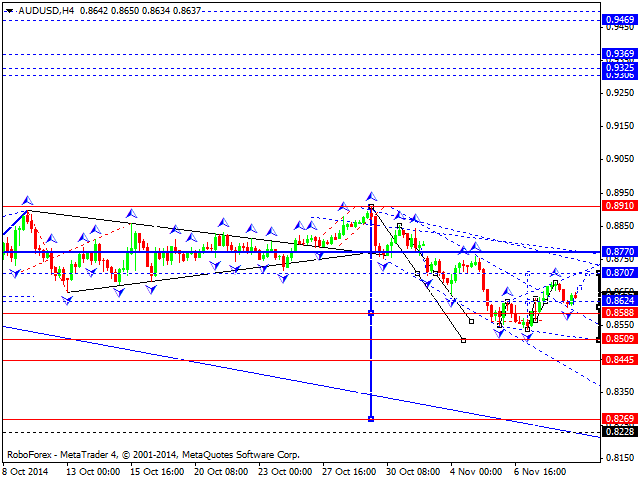 We think, today the price may reach level of 0.8509. However, possibly, the pair may move upwards fast to reach level of 0.8700. Later, in our opinion, the market may continue falling. The main target of this descending structure is at 0.8270. Ruble has renewed the minimum of its first descending impulse; right now, there is no correction so far. 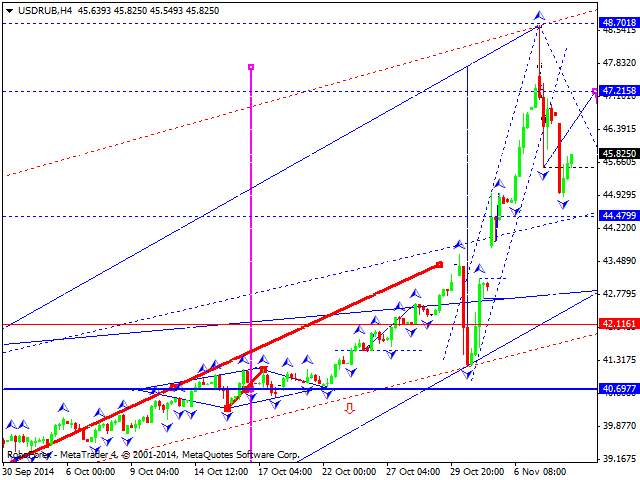 We think, today the price may return to level of 47.21 and then form another descending wave with the target at 43.50. 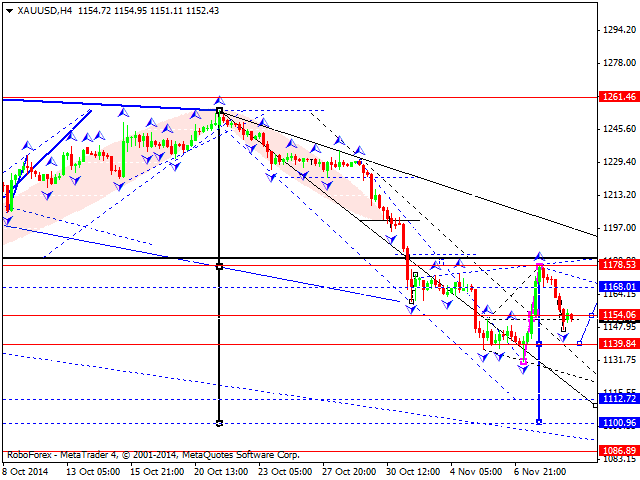 Gold continues moving downwards; the market is expected to reach the target at level of 1113.00. However, possibly, the instrument may form a consolidation at level of 1139.85. This consolidation may be either in a narrow range, from level of 1154.00, or in a wide one, from level of 1168.00. Later, in our opinion, the market may continue falling towards the above-mentioned target.